This quite retreat for meditation and prayer is located near the lobby in the bustling University of California San Francisco Parnassus Medical Campus. 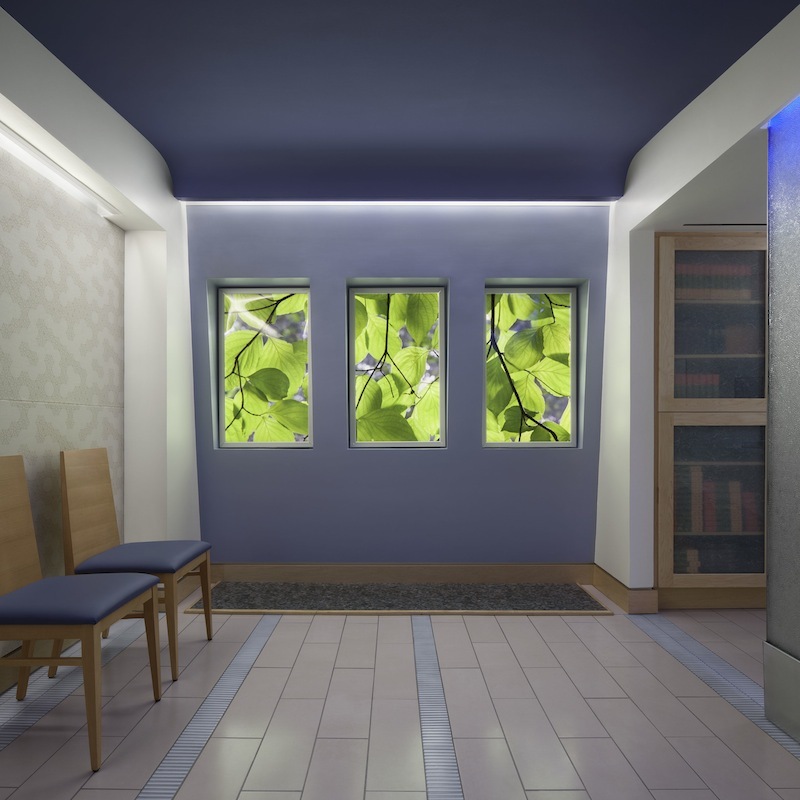 How do we create a non-denominational quite space in a busy hospital for friends and relatives of ill patients to gather, reflect, pray and meditate? 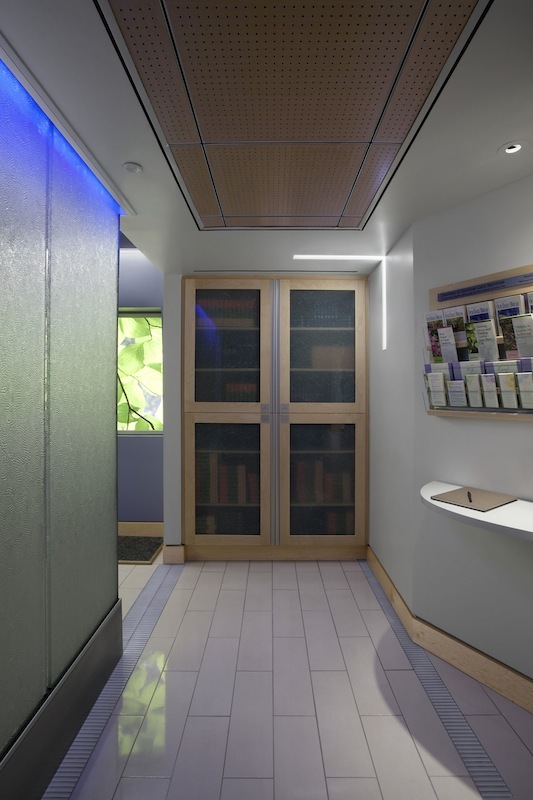 The small boxy window less space allotted had to be transformed into a peaceful retreat using color, sound and light. The ceilings were curved and painted to simulate the sky with soft up lighting from the floor, creating the feeling of sunrise. 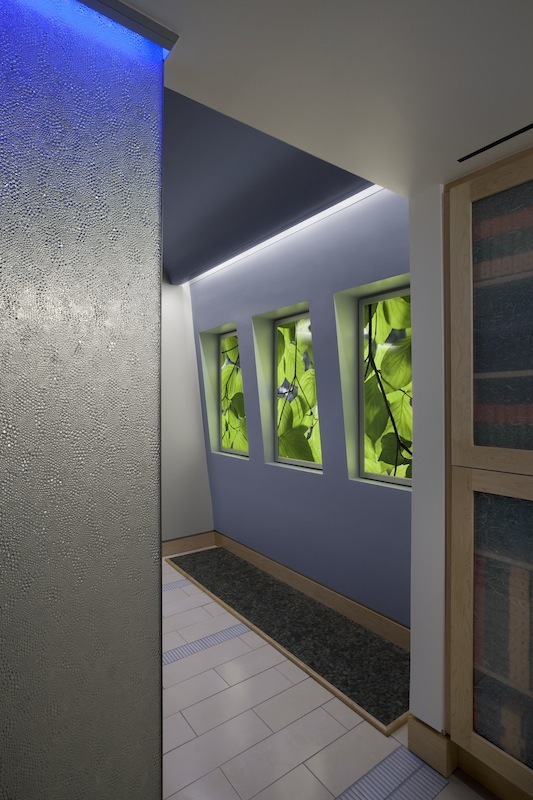 Niches were installed in the walls with back lighted panels simulating windows looking into a serene garden. 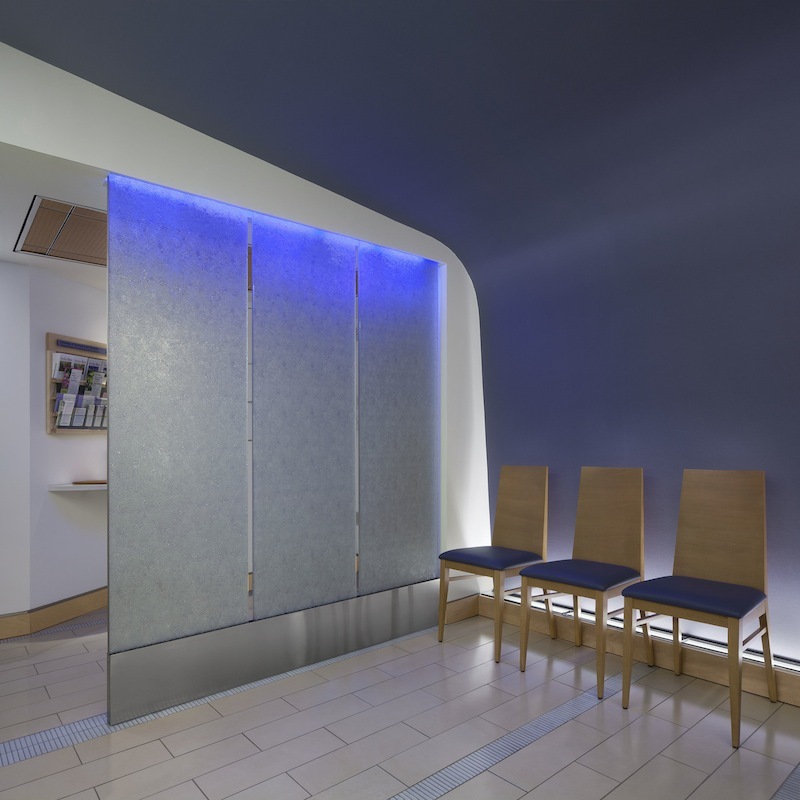 Glass partitions with a water drop pattern divide the seating area from the entry to add privacy. The glass is illuminated with moving blue lighting that grazes across the glass pattern creating an image of cascading water. Soothing sounds from hidden speakers complete the experience. The lighting control system is programmed for four different scenes with different light levels that can be selected. The simulated waterfall effect was developed to provide the tranquility of moving water without the maintenance issues of with using real water. Because the space is operational 24/7 all lighting is 50,000 hour rated LED sources to minimize maintenance requirements.